On January 25, 2018, Elton John announced his retirement from touring. The “Farewell Yellow Brick Road Tour” will start in September 2018 and will take three years to complete. My dream to meet him has been put on a three-year notice. Proceeds from the sale of this book will go towards my “Elton Concert Fund” so I can attend as many concerts as possible in my quest to meet him in person. 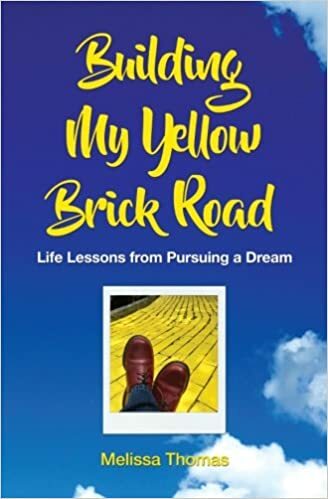 Thank you for supporting my dream by purchasing your copy of this inspirational and motivational book! I have set a goal to sell one book in every state! Map updates are posted on Instagram @MelissatheCoach. The book, not autographed, will be purchased and shipped to you through Amazon. Click HERE to go to Amazon and place your order. PLEASE LET ME KNOW IF YOU ORDERED THROUGH AMAZON SO I CAN ADD YOUR STATE TO THE MAP! I read Melissa’s book today! As you can see, I’ve added several page flags to several pages that are important to me. This is a fantastic book about a fantastic journey. Melissa tells the story of not only her passion, but also how she achieved her goals based on her passion. She’s the biggest Elton John fan that I know, and since the age of nineteen, it’s been her life’s goal to meet him in person. To this end, she attends many of his concerts; and in order to not be held back from achieving her dream, she has also worked towards and became debt-free. There are so many lessons to be learned from Melissa’s life but one that left a strong impression with me was where she wrote, “Social pressures are not an easy thing to go against. Everyone has an opinion about where you fit in, what your life should look like, and who you are to be with . When we spend too much time listening to those voices, and not enough time listening to our own inner voice, we live a life in turmoil . That daily battle against who we truly want to be and who are trying to measure up is exhausting. It is only in coming to terms with who we want to be that we are really, truly ourselves and can begin to take the steps toward crossing that bridge to the life we want. It sounds drastic, I know, but to get what we want out of life, we must be willing to take huge risks.” Highly recommend! 5.0 out of 5 starsRubber meets the road wisdom! The author shares real, earned, wisdom in an easy, and fun, book! Hearing about how her love of seeing Elton John in concert motivated her get out of debt so she can chase her dream spoke loudly to me. What is your dream? And what are you doing about it?? This book will help. 5.0 out of 5 starsLife Truely is a Journey! What a great book! I was fascinated by the strategy and steps taken by true fans of an artist to get to meet them and be close to them. Wonderful humor and determination, followed by life lessons we can all use no matter what our goals. The humble attitude of those Melissa has interacted with confirms my faith in humanity. Thanks for sharing your dream with us! Phil. 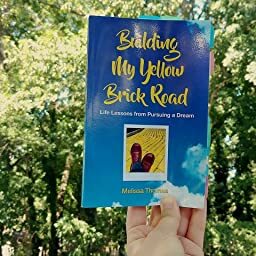 I bought this book directly from the author and have to say that I absolutely love Melissa’s story. This is an inspiring read, well worth your time. It’s hard not to finish the book and not be motivated to look at your own budget, ready to crunch those numbers and pay off those credit cards in order to pursue your own dreams. Thank you, Melissa!